Sky Without Stars by Jessica Brody and Joanne Rendell is the first book in the young adult science fiction fantasy System Divine series. This series is a retelling of the classic novel, Les Misérables by Victor Hugo. Now, I’m not familiar with Les Misérables myself so I went into this one blind on comparing it to the classic and only reading based on the new fantasy set in space. The world within is built on the idea that there were twelve families that went to twelve new planets and now five hundred years later a revolution is about to begin on Laterre. Laterre is a planet that is ruled by the wealthy and elite while the poor are starving in the streets with no help from the rulers. Chatine is from a poor family and disguised herself as a boy stealing what she can to survive. Marcellus is a officer in training to rule but questions the methods of his grandfather and then there is Alouette who has been in hiding for the past twelve years only to come to the surface to cross paths with Marcellus and Chatine. 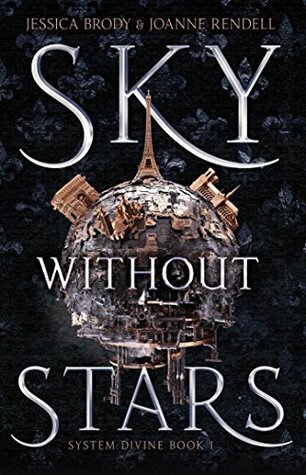 Sky Without Stars isn’t really a bad read overall but at close to six hundred pages I couldn’t help but wish for more to happen in this first book making it seem very slow paced to me. Also, I seemed to enjoy the story a lot more when it came to Chatine and without her/him things would seem rather dull as Marcellus and Alouette just didn’t appeal that much to me. Since book one felt like six hundred pages of world building I will think twice about continuing onwards when it’s time for book two. Wow, that is a long one. It seems to have similarities to Les Miserables. Nice, honest review Carrie.